VANCOUVER GOLF TOUR & VANCOUVER PARKS GOLF announces details of 6th Annual Vancouver Open and Charity Pro-Am. Vancouver, B.C., August 10, 2012 – The Vancouver Golf Tour along with the Vancouver Board of Parks and Recreation and Vancouver Parks Golf are pleased to announce the details of the upcoming Paine Edmonds 2012 Vancouver Open and Saputo Charity Pro-Am. Based on a full field, this year’s purse will be $75,000 in cash and prizes with a $10,000 first place professional cheque for the Open winner. On August 29th at 1:00pm the Saputo Charity Pro-Am presented by Fenix Golf Apparel will take place at Fraserview Golf Course and feature four amateurs playing with a professional from either the Vancouver Golf Tour or the Canadian Tour. The teams will have the best two scores out of five count on each hole. The Pro-Am will include over $10,000 in amateur prizes plus a chance to shoot out for $1 million as well as a $5,000 pro purse. The Pro-Am will benefit the First Tee of Greater Vancouver YMCA. The 54 hole Paine Edmonds Vancouver Open presented by Augusta Resources will begin on Friday, August 31st at 7:30 am. The tournament is a 54 hole stroke play championship competing for $75,000 in Cash & Prizes. Competitors will rotate between McCleery and Langara golf courses for the first two rounds, with a cut coming after 36 holes. 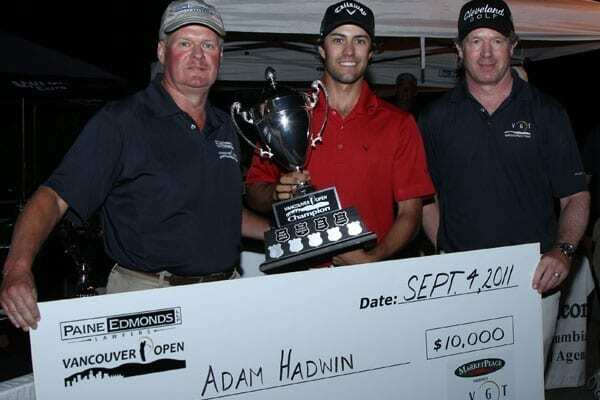 The final round will be completed at Fraserview Golf Course on Sunday September 2nd beginning at 7:00 am with the tournament leaders expected to tee off at approximately 1:30 pm to determine the 2012 Paine Edmonds Vancouver Open Champion. 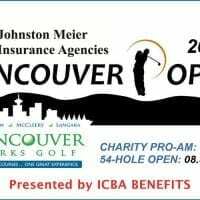 The Vancouver Open is open to all Golf Professionals and Amateurs with an RCGA Handicap Factor of 18 or less, while the Pro-Am allows amateurs with a handicap under 28 to participate. Spectators are welcome. Tickets are $10 per day or $20 for a full week pass. Kids under 18 years of age are FREE. All entries and tickets are available on the Official Van Open website: http://VancouverOpen.ca. “We are excited to work with Vancouver Parks Golf and support such a great charity as the FIRST TEE PROGRAM for the 2nd straight year” stated VGT Commissioner Fraser Mulholland. “We hope to raise significant funds from the Saputo Charity Pro-am on Aug.29th and are happy to announce we will be providing FREE JUNIOR CLINICS on Finals Sunday at Fraserview for juniors to take part in and stay and watch our feature Pros play to see who will be declared the ’12 Champion”. “We are happy to announce that many of Canada’s Top Professional Golfers will be playing this year’s Van Open” stated Fraser Mulholland, VGT Commissioner. 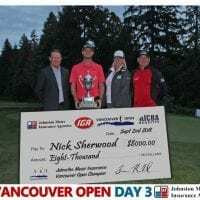 “Some of Canada’s hottest Professionals have confirmed their entries, including Victoria’s Cory Renfrew, who has blazed onto the Canadian Tour as a rookie with a 2nd place finish at the Times Colonist Island Savings Open and a victory at the Syncrude Boreal Open. Chilliwack’s Brad Clapp, who lost to Adam Hadwin in the ’11 Vancouver Open playoff, has continued to showcase his incredible skills, being crowned as the PGA of BC Champion as well as the PGA of BC Assistant Pro Champion (setting 2 course records of 63, 64). He is a heavy favorite to contend this year! 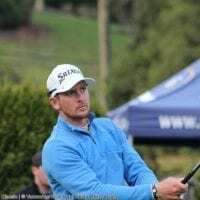 Two of the most prominent Canadian Tour Pros to watch are Abbotsford’s Nick Taylor and Vancouver’s Ryan Williams, who have been well on form this year, both with wins on the VGT and two top 10’s on the Canadian Tour. And the local PGA Professional to catch this year once again is North Vancouver’s Bryn Parry. Parry has been a dominant force on the local scene again this year, and holds a comfortable lead on the CLEVELAND/SRIXON Order of Merit. He is coming off his most recent title defence of the $150,000 Via Rail Canada Cup Championship in Quebec. Two time defending Champion Adam Hadwin is still on the fence to defend his Vancouver Open title for a 3rd straight year. Hadwin had his best finish to date last week, (T3) on the Web.com Tour and is closing in on the top 25 mark to secure his PGA Tour card. 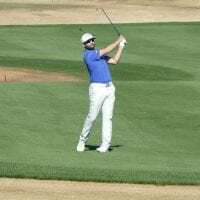 Hadwin has confirmed via Twitter that he will play the Vancouver Open if he secures his PGA Tour Card within the next three Web.com events. Yet to confirm but safe to assume he will be in the field again to defend his Overall Amateur Title is Junior sensation Adam Svensson of Surrey. The 18 year old recently astounded everyone again at the Canadian Junior Championship, firing a closing round of 64 to win his 3rd National Title! 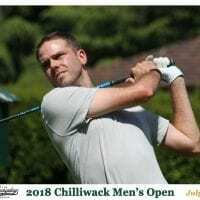 The Vancouver Open field will be capped at 232 players with approximately 50% of the field making it into the final round at Fraserview Golf Course on Sunday, Sept.2nd. A look at the comprehensive event schedule can be found on the Vancouver Open website HERE.